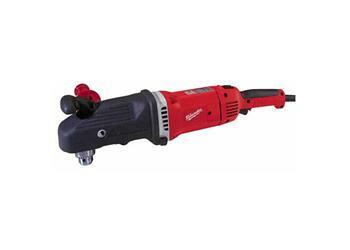 The 1/2" Super Hawg has power and speed for drilling holes of all sizes in wood frame construction. The 13 amp motor has two operating speeds of 1750 and 450 rpm with a clutch in the low gear range. Speed shifting is easy. The comfort grip Roto-Lok® handle features 3 positions with 90° left-right rotation for maximum operator comfort for all applications.